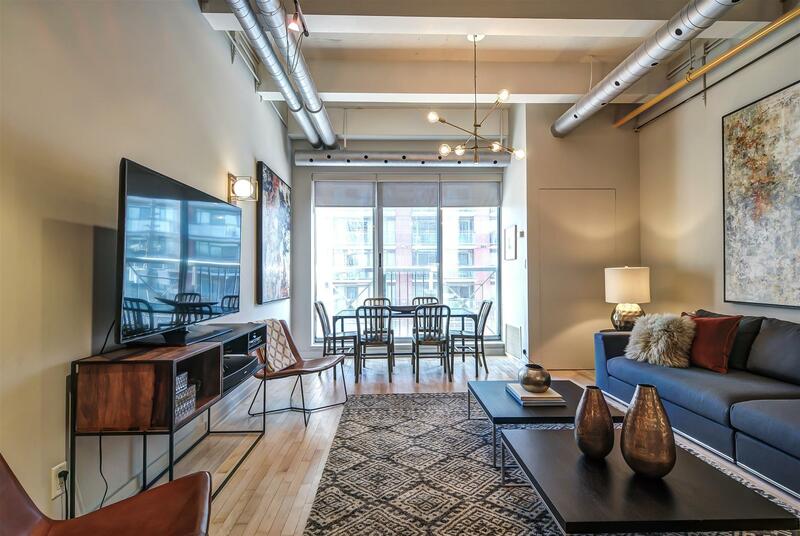 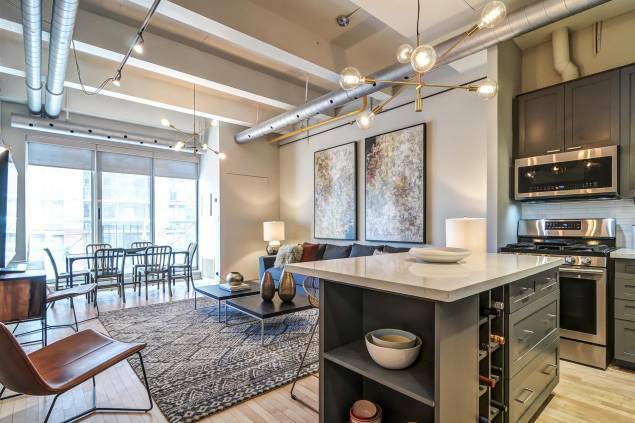 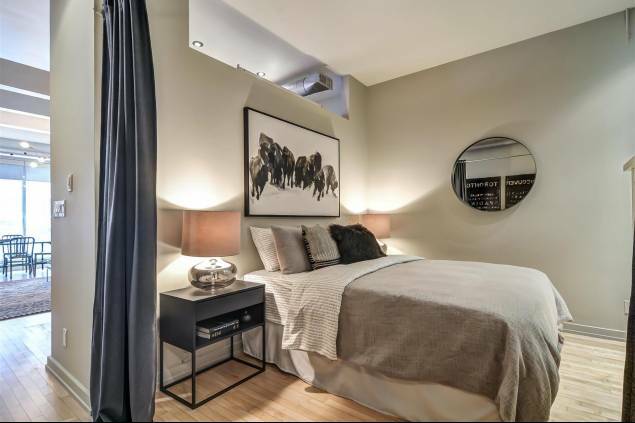 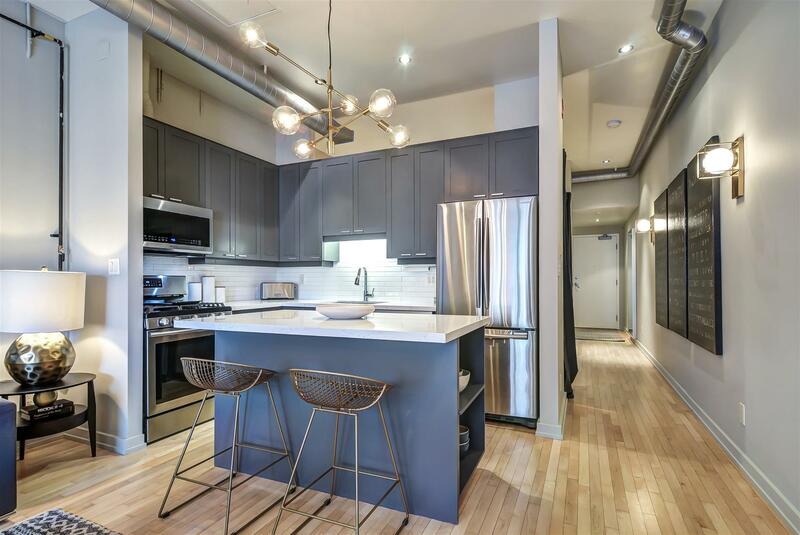 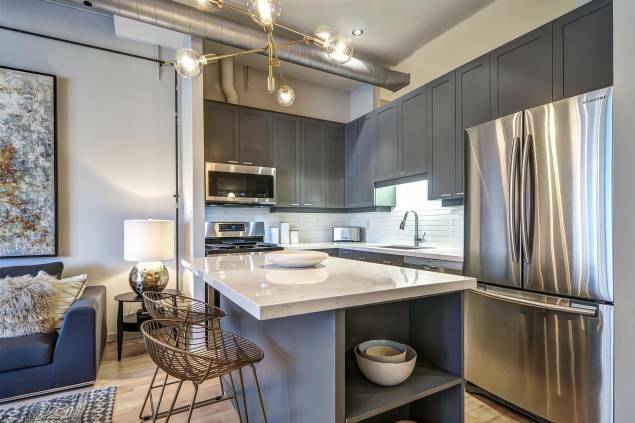 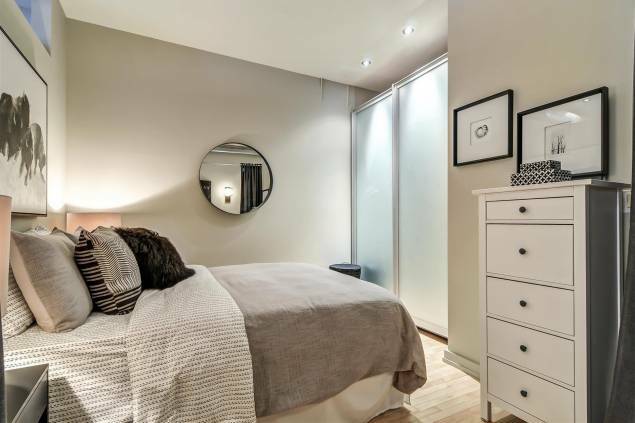 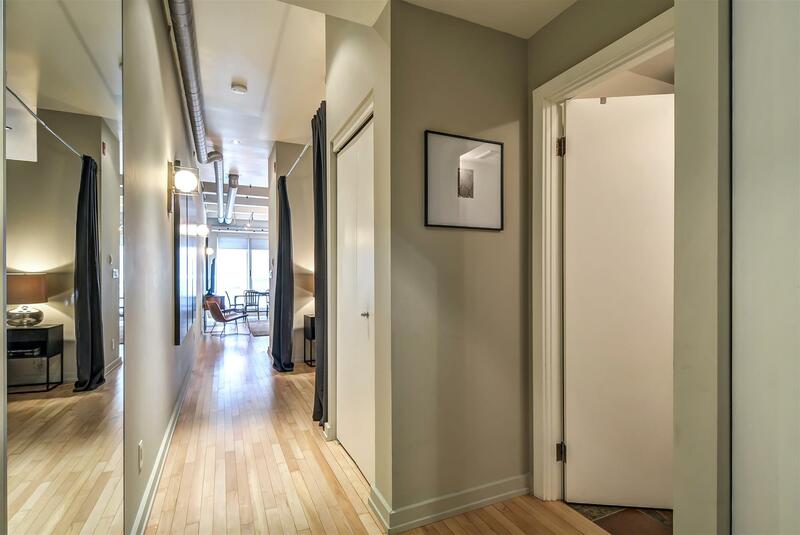 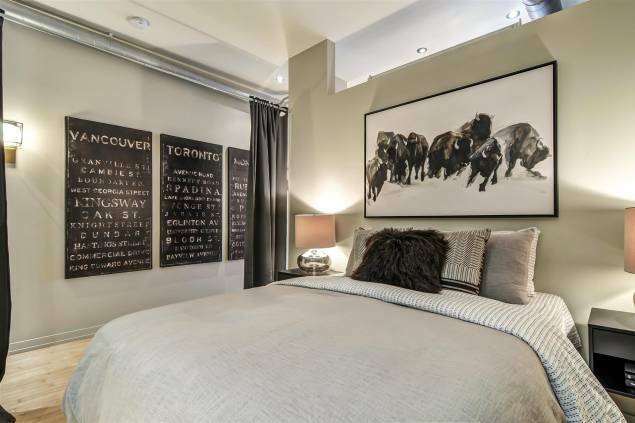 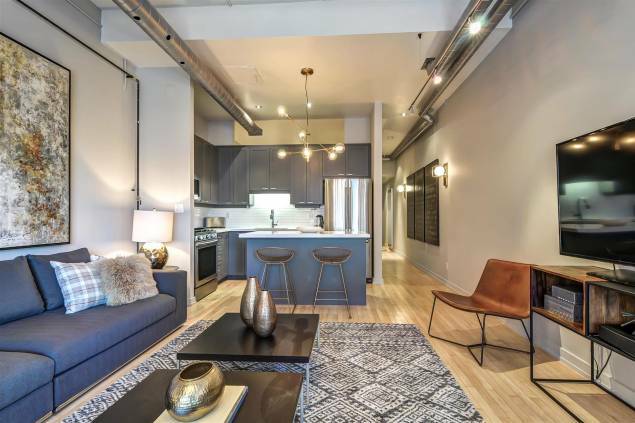 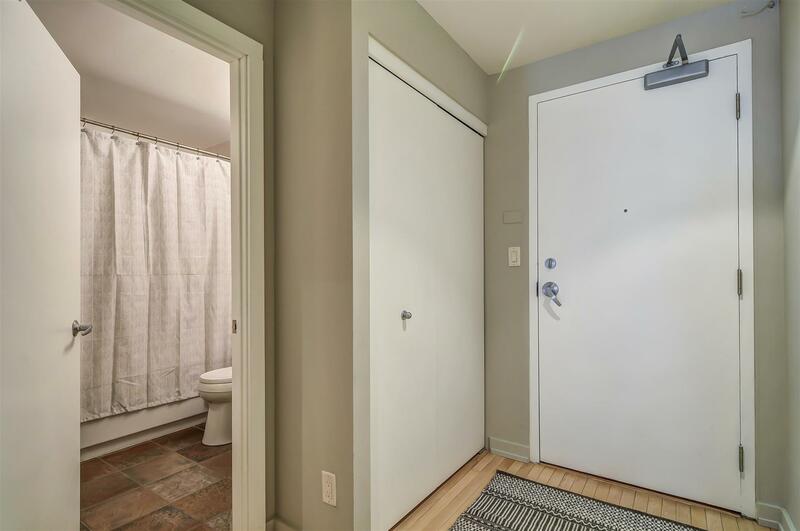 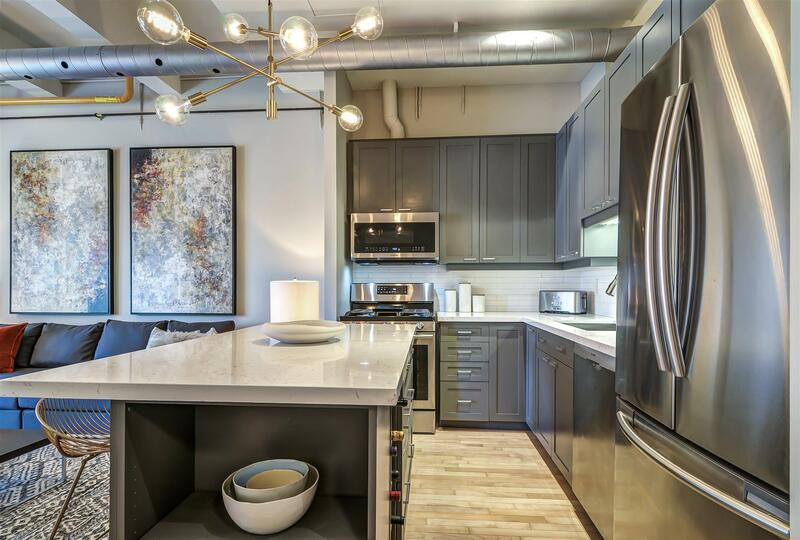 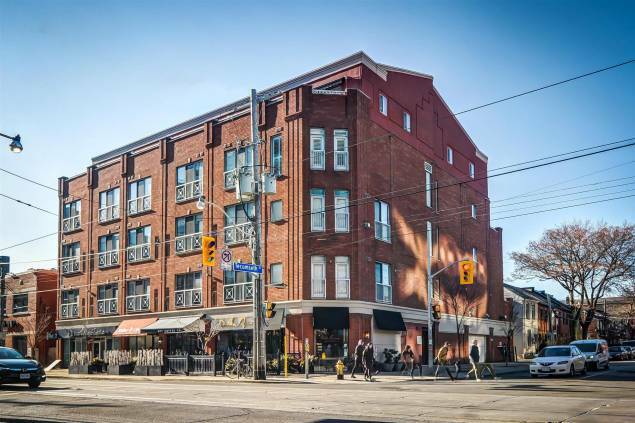 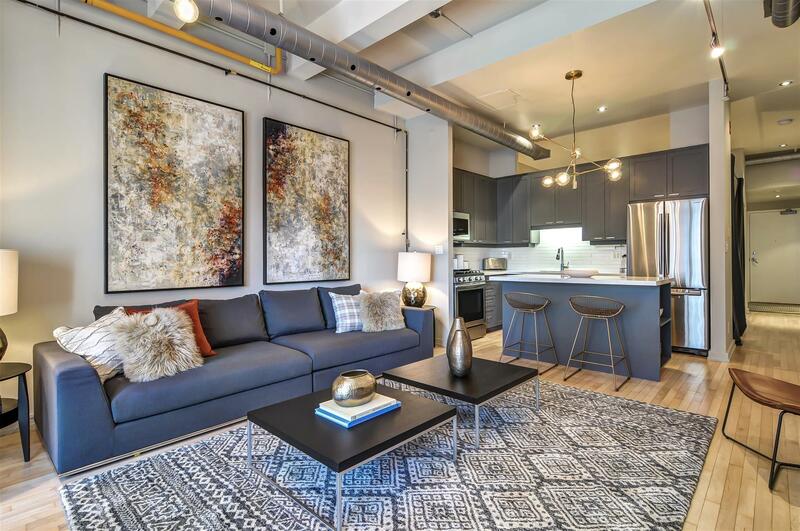 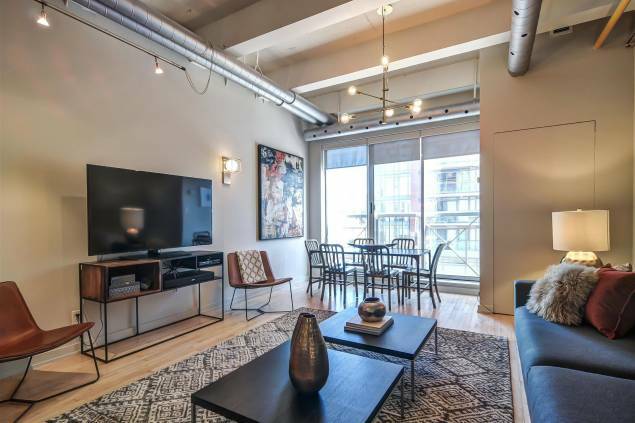 Stunning, south-facing Tecumseth hard loft in fantastic King West location. 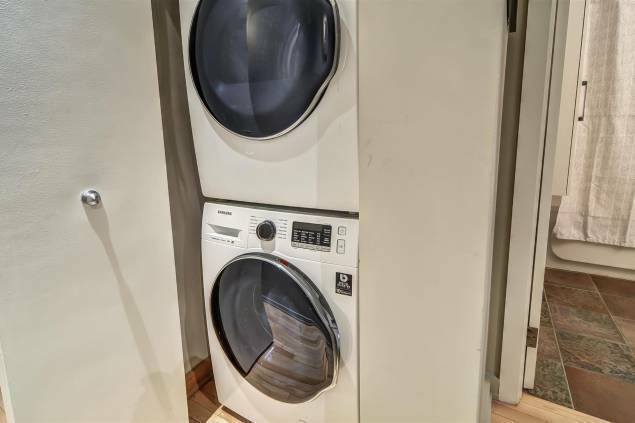 Gorgeous upgraded kitchen with grey shaker cabinets, stone counters, all new stainless steel appliances, center island with storage, wine rack, breakfast bar! Beautiful refinished blonde maple hardwood floors throughout, 10' ceilings. Spacious master with custom 'Ital Interiors' closet with frosted glass doors. 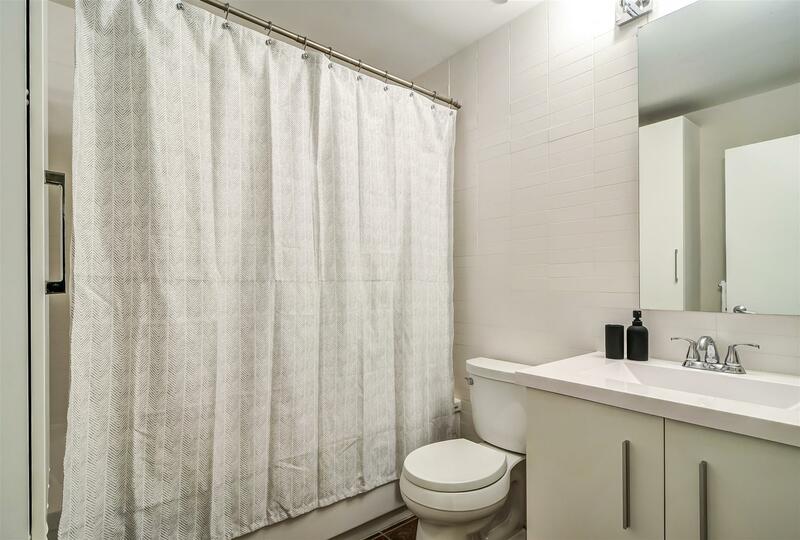 Bathroom with extra storage & deep soaker tub! 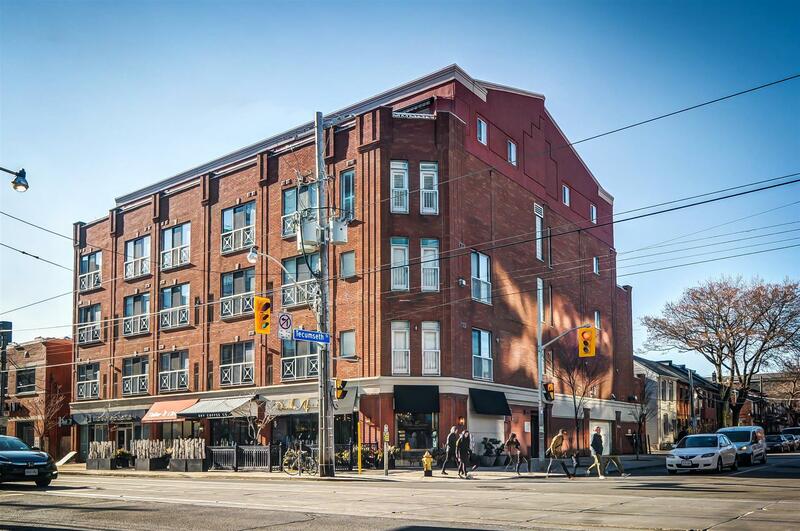 Intimate building with 96 Walk Score & 100 Transit Score!